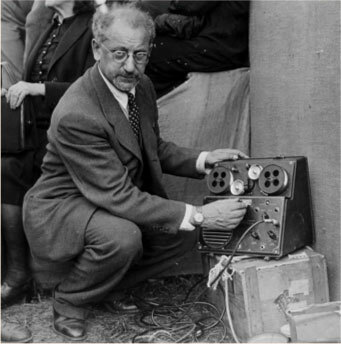 My dissertation research began with an exploration of David Boder and his 1946 project to record audio interviews with Holocaust survivors in their own voices and their own languages. Boder’s work brought together my interests in Holocaust survivor narratives and technology, as evidenced in this snap shot. Even as my work has developed and followed the work of Boder to new and exciting contexts, I remain interested in the history of the Holocaust, its representations, and the use of technology in that pursuit.